Today were looking at some fancy imports! I cant call today's post "Fancy Friday," another blog I love already has that name cornered on the blog market. Maybe I'll call this...nothing. I'll just review the damn beer! And tell a long story to go along with it! So If you follow my Facebook or Twitter account you might know that I'm in Baltimore for the holiday weekend. You also might know that my girlfriend, being as incredible as she is, scored us both a couple tickets for this weekends brewhaha, Brew at the Zoo. What you don't know is I was greeted with some beers when we got home last night, and that's what I'm fixing to tell you all about tonight! So, lets see what she greeted me with. The first is the main beer of this review, Franziskaner Weissbier. 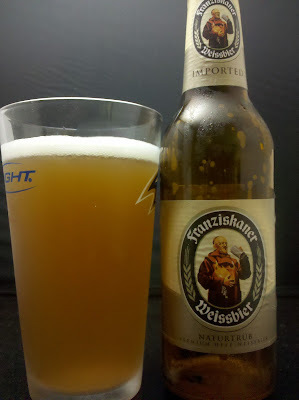 And if my non-existant German reading skills told me anything, this beer is a Hefeweizen. Soon, my palette confirmed it. lets take a gander! Look out, Im getting all kinds of professional with these shots now! close ups for now on though. Some are really cool! When she poured it for me, the sucker had a HUGE head. Easily 4 fingers. Or 3, if you have fat sausage fingers like me. Come to think of it, sausage would go awesome with this beer. or perhaps a nice Brat! It was fizzy as hell in my mouth, those bubbles weren't joking around! And the taste did not betray the scent at all. That clove was really strong at first, giving way to a nice soothing, and very small hops bite towards the back end. It had a surprising crisp, dry finish to it. I would drink the hell out of a bunch of these, especially on a beautiful weekend like we're having. After drinking this and looking at my notes, I had scribbled "Meh" as my final thought. I was determined to review it, because I think its important to not always have glowing reviews. And as I sat down tonight to write this, it just sounded positive. I don't know where that came from. 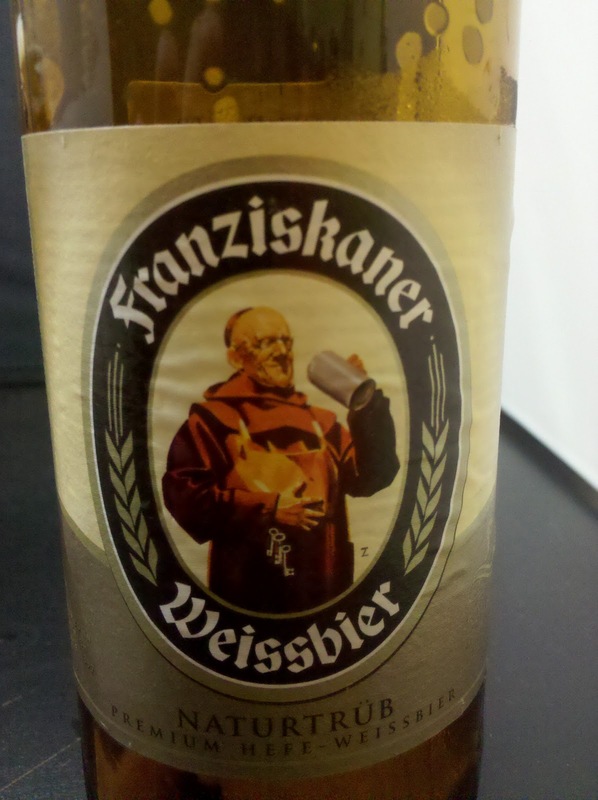 I like this beer a lot more than I had initially thought! If it weren't for the bottle being in the shot, you'd have thought this WAS Bud Light! What we're looking at, is Pilsner Urquell. Everything from the smell to the look to the pour screamed "I'm a pilsner!" I tasted it...Still a pilsner. It was not bad, but it was just...boring. I think I'm still awaiting a pilsner that makes me excited. So if you know of any, I'll gladly try it! 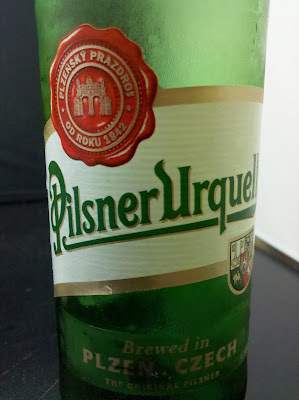 Pilsner. Sorry, I just had to say it one more time. So that'll do it for me tonight, I have to rest up for tomorrows exciting beer filled day! Look out for me on Twitter where I'll be doing semi-frequent updates! I will, absolutely! I started a post about it last night. It should be up tonight! Too bad you missed it, it was a ton of fun!